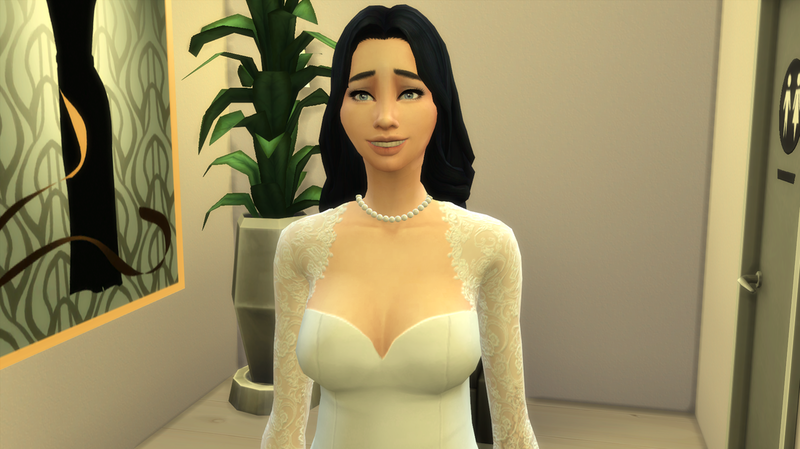 With Clara being pregnant the family wasted no time in setting up the wedding. 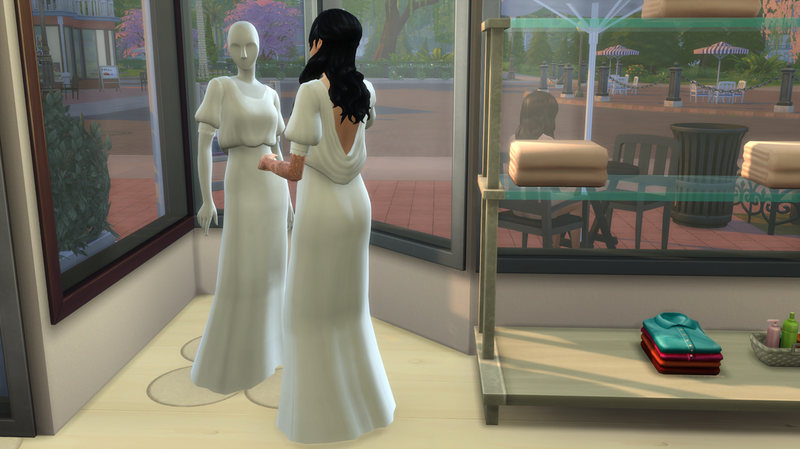 The first order of business was, of course, getting a wedding dress! 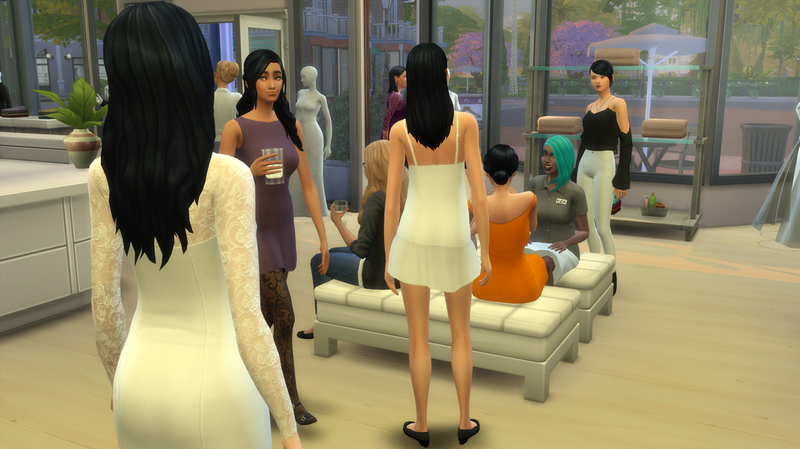 So Clara invited her wedding party, which included, Harley, Margot, Yuson, Seiko, Alessandra, and Holly, to Bella’s Boutique. 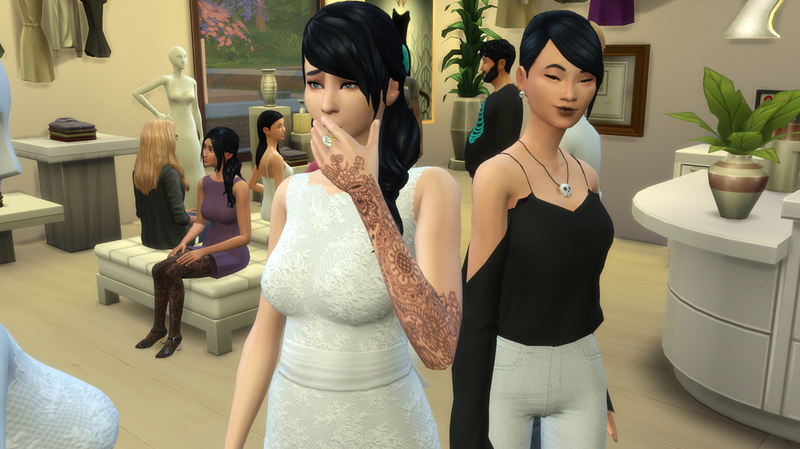 It was bought by the Goth family a long time ago so Bella Goth could have something to do instead of staying home all day basking in luxuries. 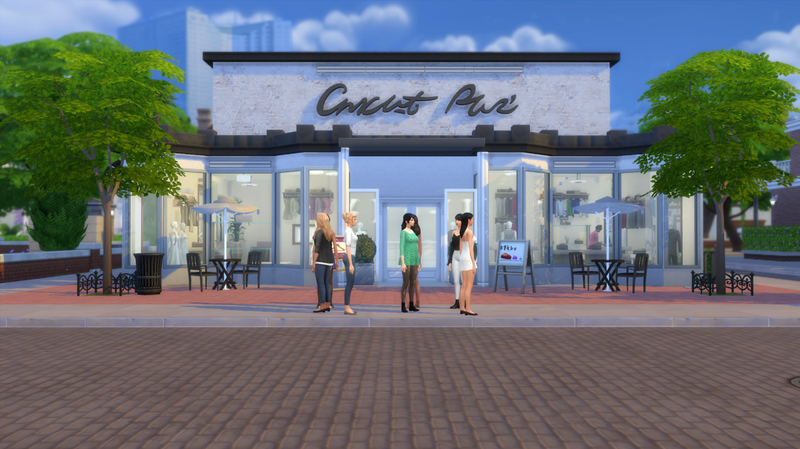 It started off as a simple thrift store but as it was passed through the generations of the family it evolved into a wedding boutique, catering to both the bride and the groom. Once inside, they were greeted by a hostess that gave them tea and little macaroons to eat on while Clara was trying on dresses. Beforehand, Clara had meandered over to where the men’s suits were before she tried on her own dresses. While she was looking at a particularly cute suit with a blue bowtie she felt someone come up behind her. As she turned around she saw it was Alessandra who was smiling somberly. The first dress Clara tried on had full coverage and was all lace with a satin bow that wrapped around her waist. Just as they were giving their mixed opinions Clara covered her mouth and heaved. 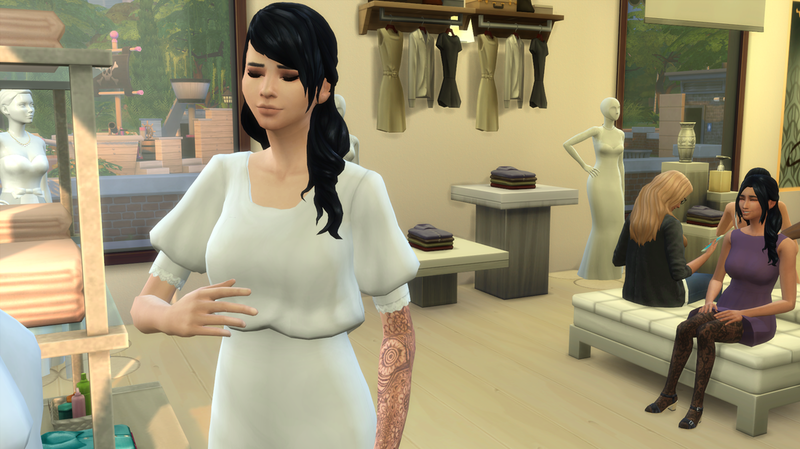 She could feel the baby kicking up a storm and it almost made her throw up. The next dress she tried on was very simple. It was made out of satin and had lace trim on the sleeves with a swooped drop in the back. But yet again when she asked the girls what they thought she felt a sharp kick from the baby and she had to grab her stomach from the pain. And again it happened for the next dress which was simple too but had a bow in the front that was connected to a sheer veil that draped down from the middle to surround her. The baby didn’t even have to say anything about the next one. Clara hated it as soon as she put it on. Clara changed back into her clothes and shuffled over sadly to where everyone was sitting. 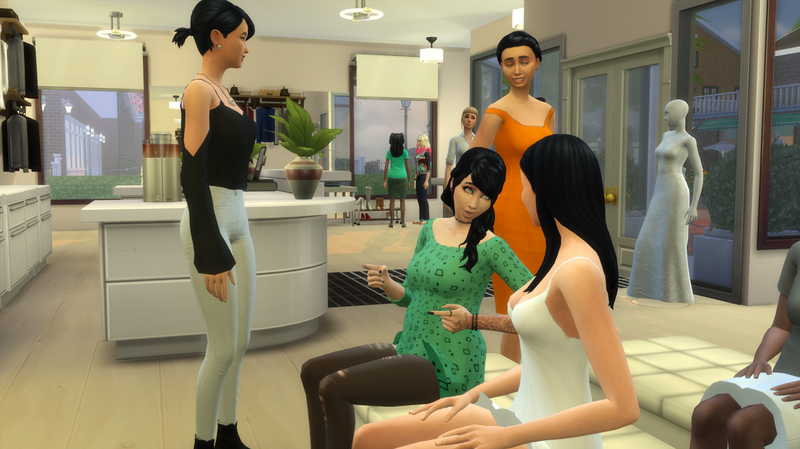 The girls were chattering away outside with the salesperson who helped them but the first person to see Clara when she came out was Alessandra. 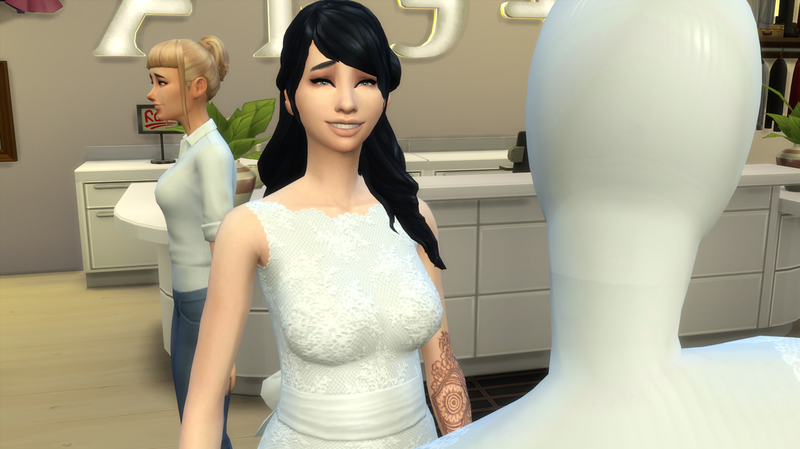 Clara was grinning from ear to ear, she had let her hair down and the salesperson was kind enough to let her borrow a pearl necklace so it could accent the gown. An eruption of squeals came from the group as they all jumped up and ran over to hug Clara, rub her stomach and coo at the baby inside. Harley was the last one to hug her and she had tears in her eyes. 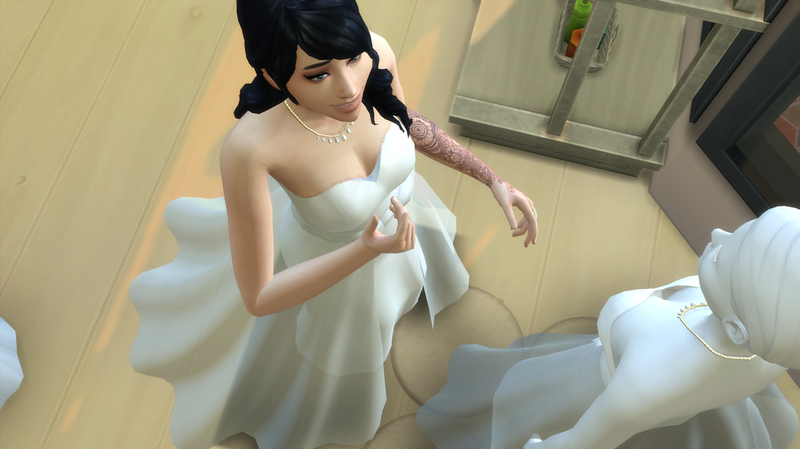 She always wanted a daughter but knew it wasn’t in the cards anymore with how old she was now.